Samsung has announced earlier this week that it plans to host a big media conference tomorrow (April 10th). 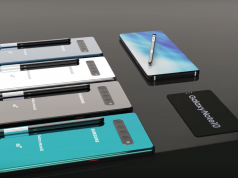 Samsung usually hosts this kind of events when it plans to launch a new smartphone and a brand-new leak is showing us the smartphone that is expected to make a “surprise” appearance during Samsung’s media conference tomorrow. The smartphone is called Galaxy A80 and it has just been spotted on GeekBench. Right from the start, the first thing that we want to note about Galaxy A80 is that there isn’t that much information about it on the web. 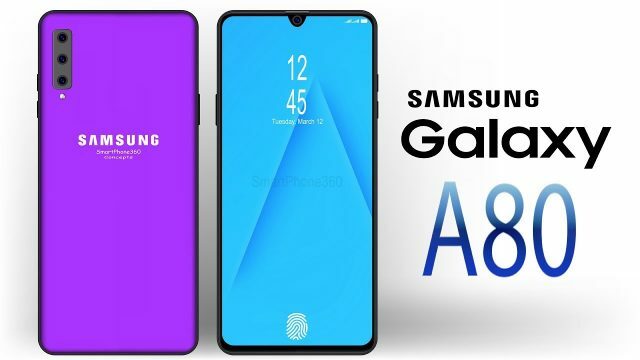 From the looks of it, Samsung hoped to launch the smartphone as a surprise but this plan failed when Galaxy A80 appeared on GeekBench. With that being said, let’s check out how well Galaxy A80 did on the benchmarking website. Samsung Galaxy A80 appeared on Galaxy A80 with the Galaxy SM-A805F build number and it scored 6,732 points in the multi-core test. Moreover, the smartphone did rather well in the single-core test scoring 2,488 points. The reason why Galaxy A80 managed to pass the processing power tests on GeekBench is because it is powered by a Snapdragon 6150 CPU. This CPU is manufactured by Qualcomm and according to the GeekBench listing, Samsung has paired the CPU with 8GB of RAM. As we can clearly see in the picture featured above, the new smartphone features quite a spectacular design that is paired with a pop-out selfie camera. The display measures in at 6.7-inches and it uses Full-HD + OLED technology that delivers a wide pallet of colors. Another highlight feature that Galaxy A80 will have to offer is an in-display fingerprint scanner. 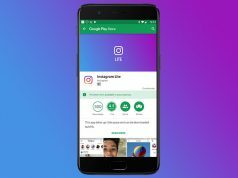 This is a cool feature and its definitely going to give Galaxy A80 an edge over its competition.